Emilia Fahlin, 30 years old, Sweden. She’s the 4th cyclist in the UCI World Ranking for women’s road cycling and the new signing of the FDJ- Nouvelle - Aquitaine - Futuroscope team. 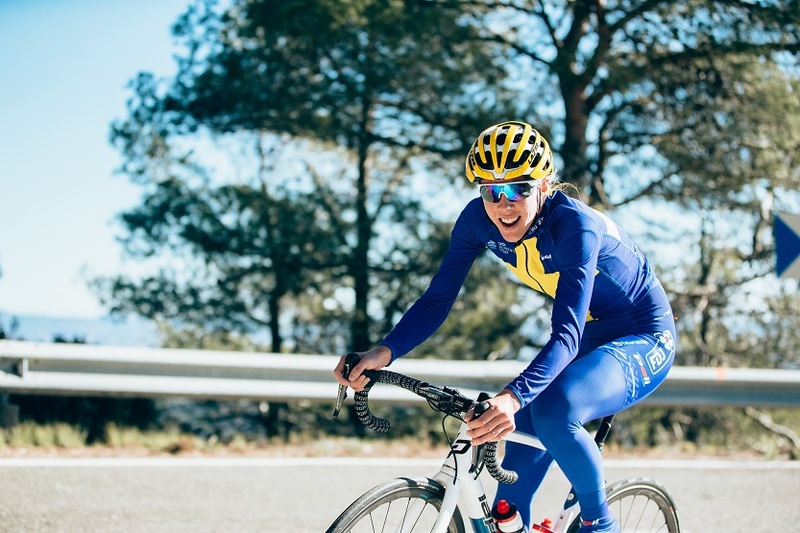 She welcomes us during her training camp in Cambrils Park Sport Village, cheerful and full of energy, despite having done a training session of almost 5 hours and more than 120km on the Costa Daurada’ roads. We want to know a little bit more about who could become the nº1 in the world this season. Don’t miss it! Swedish but living in Spain. How did you end up living in Girona? I am from Sweden, but I’ve been living in Spain, in Catalonia, for almost 9 years. So, it’s been a very long time! I ended up here because I had a couple of teammates who needed a base for the racing season. They were from Canada and America and they had stayed in Girona before. One year, when I was tired of the Swedish winter I thought: ok, I will also give it a try. And since then I stayed here, I was thinking: yeah, this is better, I want to live here. Congratulations on getting the 4th place in the last World Championship. Is it true that you didn’t’ expect that position because it was a race more suitable for climbers? Last year in the World Championships there was a really hard circuit. And on paper, beforehand, it appeared to be for the pure climbers, and we really looked forward to those girls coming as well. I think I surprised myself and quite a lot of people by coming in fourth in that type of race. It’s nice to prove to yourself that you are able to do something you don’t expect about yourself. 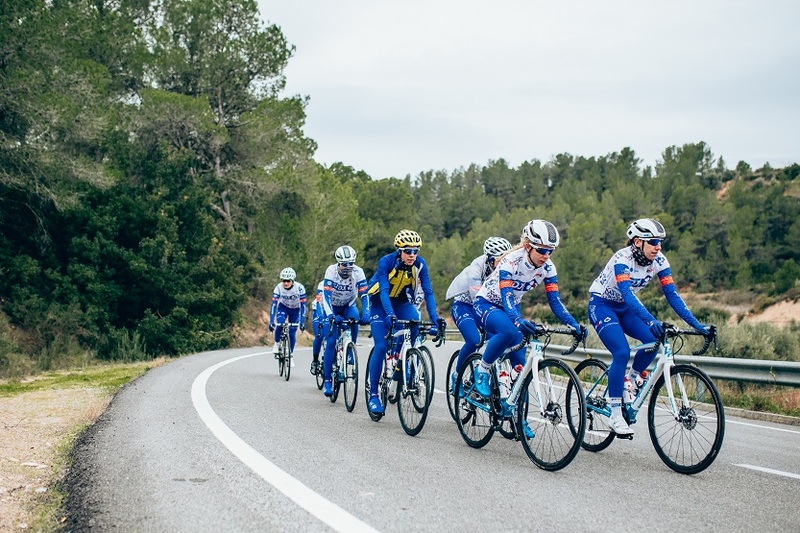 This is your first season with FDJ Nouvelle Aquitaine Futuroscope Team. How do you feel in the team? Good feelings? It will be, definitely, a new challenge for me and a new experience. I think it’s starting off very well. Obviously, I need to now try and besides the Spanish I have to learn a little bit of French. That will be my main challenge for this year! It’s a nice team, with a good-size group and it’s also a good team to focus on the women’s side of the sport. I have always respected and looked up to the team, so I am quite excited to be part of it. I hope I can also bring something to the team this year. What’s the reason why you changed the team? Is it because you wanted more responsibilities inside a team? Do you have good feelings for this season development? I was coming to a point where I felt that I needed a change. I’ve been cycling for many years now and I am getting a bit older – she laughs-. I’ve been in the game for so long and I’ve done very well by being the helper in the team. I just feel that it’s a sort of ‘now or never’ to try something different and try to find my limits, see how far I can go and what qualities could I really reach as a rider. It’s time to have a little bit more responsibility and try to find my limits. I think this is a good opportunity for that. How did your passion for cycling exactly start? You have admitted that you were a bit naive in the beginning. That you didn’t really know much about women’s cycling. I started cycling when I was 12 after my father tried to convince me because I have an older brother who cycled before me. I was doing gymnastics at that moment. I was 18 when I turned my focus onto cycling. Then I turned professional when I was 19 and it was a big step! I don’t think I fully knew where I was getting into. But sometimes it’s better because you just go along with it and I learned so much the first years as a professional. Do you think that by being so naive, so to speak, helped you not feel too much pressure in your career development? Not expecting too much or being too worried about what was awaiting me, meant I was able to develop at a good pace. And actually, not being too stressed about it too soon. I finished high school when I turned professional. I can see this with a lot of girls in the team this year, who still study and I think it’s important to take also time for that! In cycling, you have many years where you make progress before you reach your best potential. It’s important to make good progress with time. 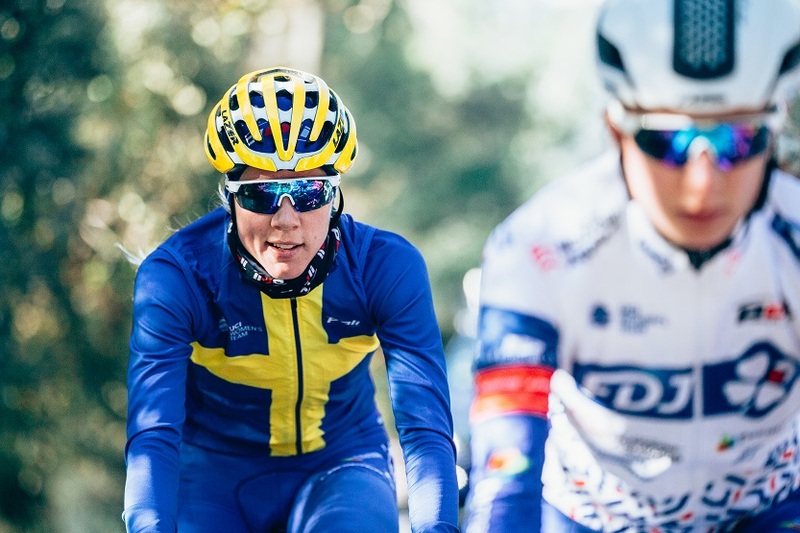 For me, it happened without knowing it, because cycling in Sweden is not super big, so I wasn’t exposed to it very much before I actually threw myself into the professional circuit. Who played a key role in your professional career? There have been a few important people. I had an old national coach who actually helped me to get my first professional contract. Without her help, I think I would maybe have taken a different path with cycling. I hope I sort of made it otherwise, but this is the way it happened. Then, also from the first year, I had a really good coach, director, and mentor, Petra Rossner, who used to ride before. She was also really focused on giving me personal goals, slowly progressing so I didn’t feel like I didn’t fit in. And I think it was really important. And now, after years deeply involved in women’s cycling, what would you have learnt the most? Uhm… I think I have learnt the most to be patient. I’ve had quite a few ups and downs, and I’ve had some tough years. You need to learn to be patient and to find the way it works for yourself. Everyone is different and you’ve just got to believe in yourself and find the right path for you. Even if it’s easy that some many people tell you other things, you need to find that peace within yourself and the patience within yourself. And that’s the biggest thing I will take with me. Do you give this kind of advice to the younger riders in the team? It’s so good now being here with all the girls. Because in the team there is such a mixture and there are quite a few young girls. I hope I can advise them by my experiences. But when you are young, you are hungry, and you want to progress and it’s easy to be too motivated or too keen to do well… I hope I can be a good example for them and explain that you need to be a little bit patient and give it time. In your opinion, which do you think are the biggest challenges for women’s cycling? The biggest challenge for women’s cycling is that we wish to be as recognized as men. We wish our races to appear more on TV and to complete the circle with sponsorships, etc. to raise our level even more. In the last years, we have seen progress and that change is definitely coming from the riders. They are focusing on being more professional. Competitiveness is becoming really high, but I think we still need to find sponsors and to have more media interest. It’s definitely a challenge to get that ball rolling for women. But I think the discussion is underway and we are on our way to finally make it happen. Yes! For example, speaking for myself, I love sports and I also love to see the person behind the sport. To see the whole preparation, the athlete’s personality and what's really going on the sport. That motivates me and if we athlete women share a bit more, I think we could draw attention to us and to the sport. 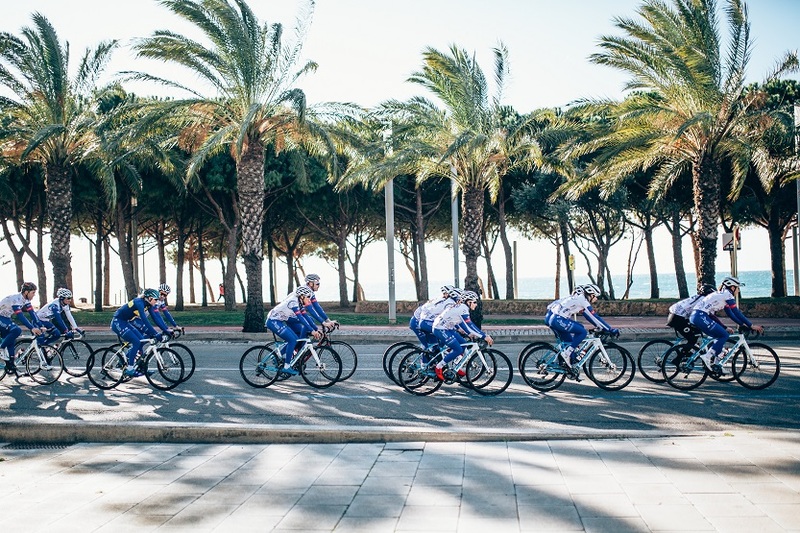 Do you feel safe when training on the Costa Daurada roads? 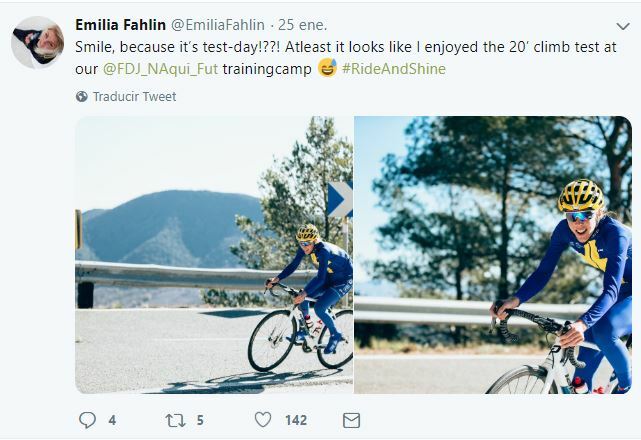 Do you think that’s a highlight of your training camp in Cambrils? But here, everyone has been waving and cheering us on and being so happy. So, I think there is a sportive culture, acceptance, and enthusiasm for cycling. It’s been so nice to feel calm and safe on the road whilst out training. How would you explain to someone who has never been in the Olympics, how’s the experience of representing your country in the Olympic Games as you did in London 2012 and Rio 2016? The Olympic Games are probably the coolest experience I’ve had. I’ve done the Olympics twice. The first time, I reached my goal, which was to be in the Olympics. I used to watch the Olympic Games when I was young, and it always fascinated me watching all the sports at the highest level. There are people who come to watch everything and it’s such an international event! When I need to find the motivation, I look back at that moment. I always think about that experience, it was one of the nicest things I have ever experienced. After reaching the 4th place in the World Championship, what’s your next goal for 2019? I would like to win one race or two. I haven’t set specifically which ones I really want to win. I just want to prove to myself that I can be competitive, that I can fight for podiums and victories. I still need to try and fail, to be able to achieve it. I hope everything comes together this year to be able to experience that amazing feeling when you cross the line first. There are also the World Championships, that I look forward to by the end of the year. This is maybe the main goal in terms of a specific race. What’s your biggest cycling dream? What would you really like to achieve before the end of your career? There are so many nice things I would like to achieve! For example, speaking about the Olympics earlier… To win the Olympics is a dream for every athlete. A really high goal. In cycling, for instance, the World Championship is as important as the Olympic Games. Those are two dream races. If I can dream big, I would choose one of those two to win. If not, it would be to win one big championship or one big classic and iconic race. Our best wishes and keep on dreaming in big Emilia Fahlin!